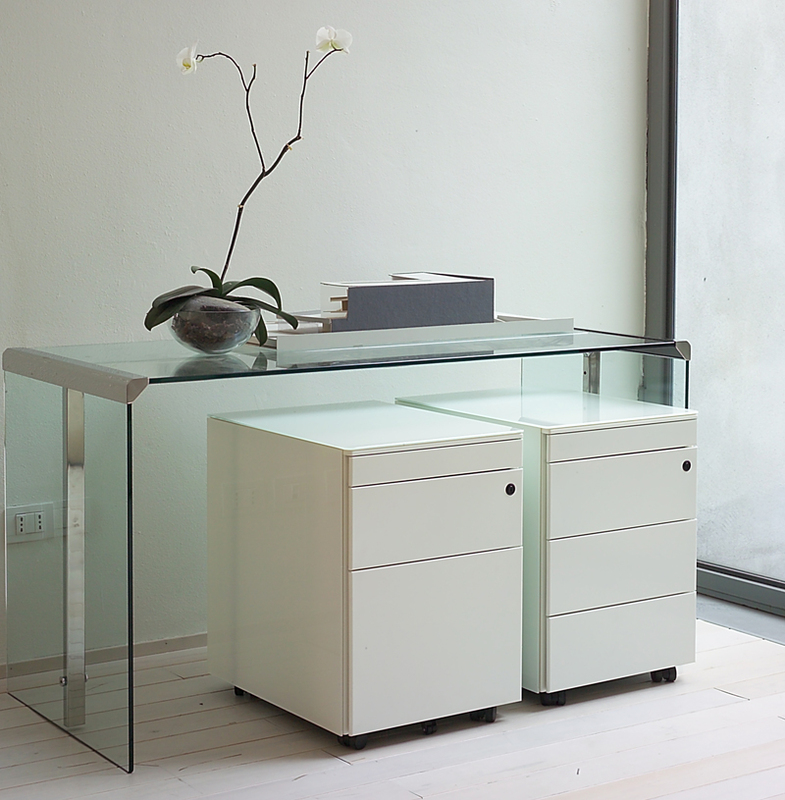 Metal drawer unit on casters with sides covered with white or black painted glass. Featuring a centralized locking system with pull-out drawers. Available with a stationary drawer or a drawer for hanging files. 17" x 22" x 24"H.